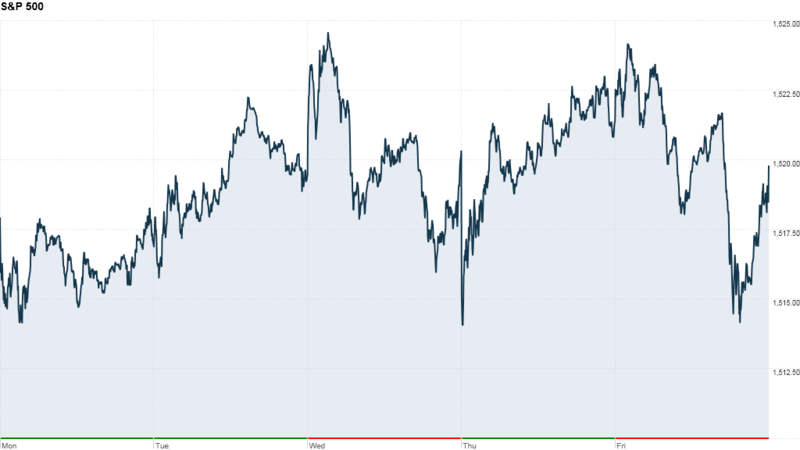 The S&P 500 managed to eke out its seventh winning week as stocks ended the day with a whimper. On Friday, the S&P 500 and the Nasdaq dipped 0.1% and 0.2% respectively, while the Dow Jones Industrial Average closed just barely higher. For the week, though the S&P eked a small gain, both the Nasdaq and the Dow fell slightly. Recently stocks have been pulling back from their solid start to 2013, but the Dow and S&P are still within range of new record highs. The Dow is 1.3% shy of its all-time high, hit in October 2007, and the S&P 500 is about 4% below its record high, also set in October 2007. All three indexes are up between 5% and 7% for the year. "We're in digestion mode," said Sal Catrini, an analyst at SunTrust Robinson Humphrey. "We've had a really nice run." Investors remained wary of jumping into stocks Friday, despite a pair of positive economic reports. The real action was in commodities, with gold and oil dropping 1.5%. Billionaire hedge fund manager George Soros spooked gold bugs, after it was revealed that his fund cut its stake in a major gold ETF, SPDR Gold Trust (GLD), at the end of last year. Commodities moved lower across the board. Oil slid nearly 2% on renewed concerns over global growth following a weaker than expected report on industrial production in the United States. The New York Federal Reserve report showed that manufacturing in the state picked up precipitously last month. Meanwhile, the University of Michigan's February report on consumer sentiment came in at 76.3, above a 74.8 forecast. On the corporate front, investors had more earnings results to take in Friday. About 65% of the companies in the S&P 500 that have reported fourth-quarter earnings so far have topped analysts' expectations, according to S&P Capital IQ. But the bulk of companies that have issued guidance for the first quarter have had negative outlooks. Burger King (BKW) reported earnings that beat expectations. Shares closed up nearly 5%. 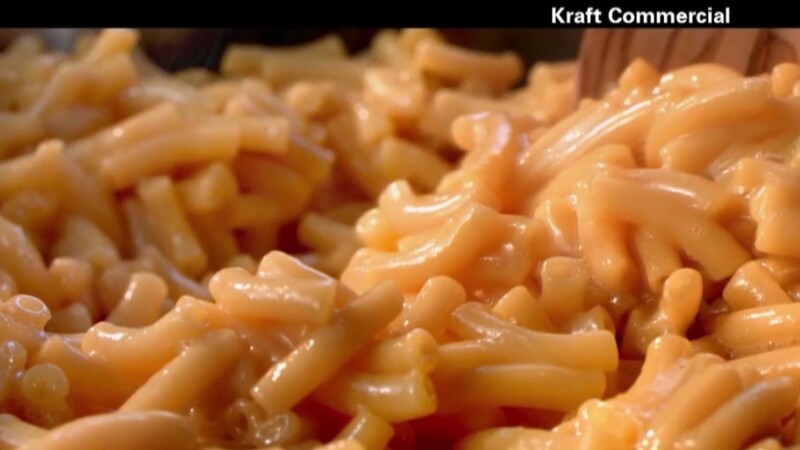 Meanwhile, Kraft Foods (KRFT) posted weaker-than-expected revenue. Shares of nutritional supplements company Herbalife (HLF) surged more than 12%, but closed up just 1% after activist investor Carl Icahn disclosed a 13% stake in the firm on Thursday. Carnival (CCL) shares slid as the company's Triumph cruise ship docked and passengers were finally able to leave, just days after a fire and power outage left the ship and 3,000 passengers stranded at sea. Shares of Wal-Mart (WMT) dropped nearly 2%, after a research firm said that sales for the last four weeks look significantly softer at the big box retailer. Shares of Gap (GPS) surged on rumors that the retailer could be a takeover target. European markets and Asian markets ended mixed. The dollar was higher versus the euro and the Japanese yen, but dipped versus the British pound. The so-called currency wars will be a major topic of conversation at the G-20 summit in Moscow that kicked off Friday. The price on the 10-year Treasury note declined, sending the yield up to 2.01% from 1.95% late Monday.